Scroll down for the newest listings of homes for sale in 78249. Use the Advanced Search feature to search all listings in this zip code. Contact the Exclusive Buyer Agents at The Totin Group at eXp Realty at (210) 872-8888 to see real estate for sale in the 78249 zip code. This middle-class part of San Antonio is largely suburban, with a few rural homes. Popular neighborhoods include Bentley Manor, College Park, Creekview Estates, Hart Ranch, Hunters Chase, Jade Oaks, Oakland Heights, Parkwood, Provincia Villas, Rivermist, Tanglewood. Woodridge, and Woods of Shavano. The median home value in this area of about 50,000 residents is around $168,000. There’s only one way to make sure you get the best possible price and terms when you buy your home: you must have your own Realtor representing you. And the good news is, it costs you nothing! 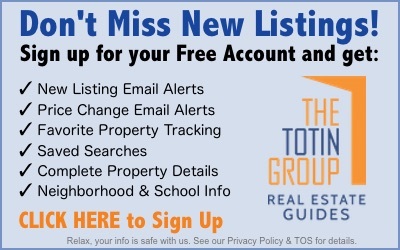 Your Exclusive Buyer Agent at The Totin Group can help you find the home of your dreams at no out-of-pocket cost to you, because the seller typically pays our fee. You don’t have to make the biggest purchase of your life on your own. Call The Totin Group's buyer experts at (210) 872-8888 for details. The 10 newest listings of homes for sale in 78249 are shown below. Use the Advanced Search feature to search for all listings in this zip code.